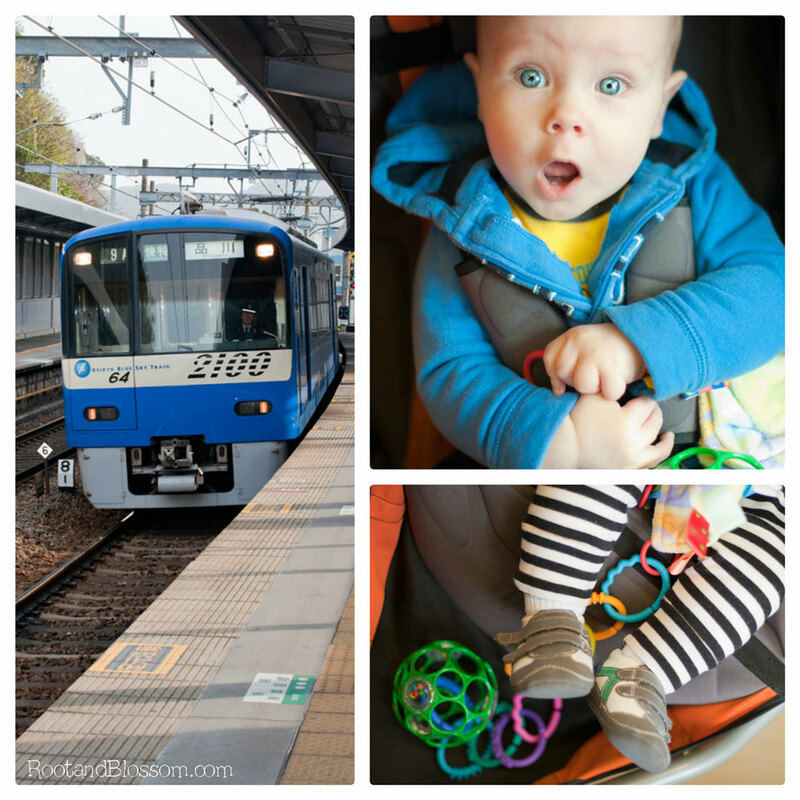 Riding trains is a very common part of our every day life here in Japan. Before Japan I initially thought of public transportation as noisy and dirty. Though this is the case in some place, Japan is not one of them. In fact, if you are in need of some peace and quiet riding a train would be an option. You would think that the train would be a great place to socialize but in fact everyone is respectful of everyone else's ride and thus keep to themselves by reading, playing video games, or texting. It is not appropriate to talk on your phone in any area of the train and in some areas it is requested that your phone be completely off. With this said, riding the train with a baby usually feels like a game of rush and roulette. To be fair to Gabriel, most rides we take he spends his time flirting with the other passengers but some days he is a hot mess! It's typically when we're heading home and he is either hungry, tired, or done tolerating his stroller. He's notorious for breaking down within 1-2 stops of our station, similar to his breakdowns at the end of our street back home. Usually I LOVE how quiet and peaceful the trains are but when Gabriel is having one of his rare melt downs I wish that someone's phone would ring or maybe the group of ladies would start loudly gossiping or something - anything to take the attention off of us being the ones to disturb the peace. I'm sure it's always a bigger deal in my head than it actually is, the Japanese just love babies and are very accommodating to them but knowing that doesn't reduce the stress in those instances. These moments are good for me because they help to challenge and grow my patience and grace as a mother. I wish our country was more accommodating to babies! From the looks/sounds of it there are nice nursing rooms, restrooms, etc. there that are baby friendly! How nice! I know! I am going to miss these luxuries!